David Dacquino, the former CEO of engineering and technical services contractor VT Group, has joined Toronto-based SkyLink Aviation as president and chief executive. 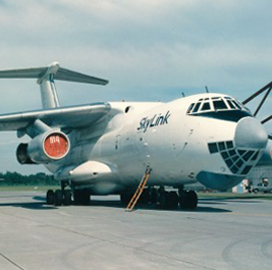 SkyLink Chairman Harry Green said the three-decade aerospace and defense veteran will work to expand the company’s geographic reach, which has included operations in places such as Afghanistan, Iraq, Sudan, Somalia, Peru and Uganda. Before leading VT Group, Dacquino served as vice president and lead executive of Raytheon Technical Services Company‘s integrated support solutions division. He previously served as a vice president and general manager of logistic services at Lockheed Martin, where he oversaw more than 3, 500 personnel at 75 locations worldwide, providing base operations support and spare parts to defense and commercial customers. 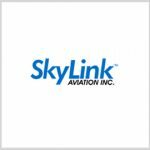 SkyLink is a provider of aviation and logistics services in “some of the most difficult and challenging environments in the world, ” the company said, adding that it charters more than six hundred aircraft and performs thousands of flights per year worldwide. The company’s specialties include passenger and cargo transport; humanitarian and disaster relief; dangerous goods handling; flight planning; over-flight permits; fuel; airfield management; freight forwarding; customs clearance; insurance arrangements; and other related services. 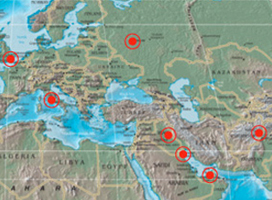 SkyLink provides support to international governments and commercial entities, and has served the U.S. departments of Defense and State; the Federal Emergency Management Agency; the U.S. Agency for International Development; the departments of Defense in the U.K., Canada and United Arab Emirates; the German Ministry of Defense; the United Nations and NATO, among others. The company says it looks to drive value through a “flexible” business model, working with a wide variety of rotary and fixed wing aircraft and balancing eastern and western airframes based upon each individual client’s requirements. Executive Mosaic recently spoke with Dacquino about his new position, his eventful first few weeks on the job and some plans of his for the future. Executive Mosaic: What attracted you to the SkyLink opportunity, having principally worked with larger companies in the past? David Dacquino: SkyLink needed a CEO to take the company to the next level, put in the processes and diversify into new areas. I spent a lot of my career in large companies – Lockheed Martin for 20 years, Raytheon for seven – and transitioned to VT Group as CEO, which was a British-owned company at the time, so I got experience leading the U.S. operations of a foreign-owned business. This position appealed to me because of its mission, its complexity and the company’s 26-year legacy serving customers across many industries. And it was in my aviation sweet spot, too. I’ve been in aviation and defense all of my career and it was interesting because SkyLine operates right at the point of delivery, which was the opposite side of where I worked my entire career. 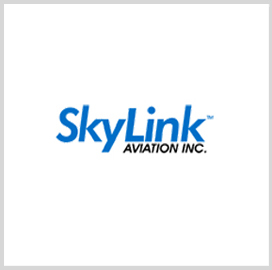 SkyLink is a company that does the last mile – that real hard piece that larger companies can struggle with. We’re the ‘first in the air, first on the ground’ kind of company. So, I thought, what a great partner we would be for those larger companies. After having lived in those companies for that long, I understand what their worries are – both in safety and putting employees in harm’s way – and what they do and what they need. It makes a challenging, but good fit for me, and is just a great opportunity to leverage everything I’ve learned for the benefit for future customers. The larger companies don’t always get how to do that last mile safely and effectively. That’s the bridge I hope to make. Executive Mosaic: Soon after joining SkyLink, you spent a week embedded alongside troops in Afghanistan. What’d you take away from that trip and what’s the significance of SkyLink’s operations there? David Dacquino: “Taking this kind of job, the first thing you do is get in theater and see what makes the company tick and what our emphases are. I went to Afghanistan during my second week on the job and I think it sent a very strong message to the company and to our customers of our absolute commitment to understanding our customers’ needs from their perspective on the ground. I was very impressed and struck by the fact that the U.S. is putting a lot of effort into helping the country build its infrastructure to become more self-sufficient and support its economy. We intend to be one of those companies – and there’s not many – that plan on staying long after the conflict and helping the Afghans set up their infrastructure. So, we’re quickly moving into that mode and teaming up with potential partners who provide transportation throughout the country, which is difficult to do because reliable transportation channels are few and far between. It’s interesting. We’re called into duty in Afghanistan to provide mobility for U.S. forces in a country in conflict. We fly troops to where they need to go in forward locations and other operational areas and we very much feel like one of the troops. And then our second call to duty is with the Afghan nationals to help them build a sustainable infrastructure. We’re actually going to make that transition from being a wartime partner to being a civilian partner with the Afghan national government and local companies. It’s the same theater for a different customer, but for a common purpose. All those things are being tied together in a pretty exciting and important way. I’m really impressed with the multiple roles our men and women in service are providing as they work to enable long-term stability and economic independence. Executive Mosaic: What about SkyLink enables it to help drive stability in Afghanistan? David Dacquino: The economy can’t grow without good transportation infrastructure, but there’s very little infrastructure there and there’s certainly an element of danger there today. SkyLink is all about getting to areas that are tough to get to and executing the most difficult part of the mission, in some very dangerous environments, but always in a very safe way. That’s the challenge that we have and it’s vitally important that we are successful. We pride ourselves on being extremely safe and our track record is execeptional. Editor’s Note: Navigating perilous environments hits close to home for Dacquino, who is an admitted “adrenaline junkie, ” and had a brush with disaster when hiking Denali, the highest mountain in North America. David Dacquino: I got myself involved in some mountain climbing and I began a quest to scale the highest summit on each of the seven continents. I was on my fifth of the seventh summits. I had summited Kosciuzko in Australia, Aconcagua in South America, Kilimanjaro in Africa and Elbrus in Russia for Europe. 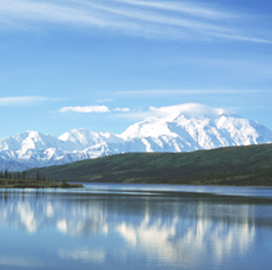 When we were on Denali it was very difficult, bitter cold and I did not summit. It was really plagued with challenges, such as avalanches and crevices that troubled us throughout the climb and unfortunately there was a fatality on our team and some serious injuries, including frostbite. We knew we were in serious trouble when we had a fall and our GPS fell into a crevice and we couldn’t get it back. I had a lot of people who were watching our progress via the Internet and it seemed to them that we had been lost for good. With all the elements and the setbacks, the climb was progressing at a very slow pace, which was frustrating me because I knew I had critical meetings in Europe that I was running up against. As silly as that sounds, it was stressing me out because I had to get back to work, which may have been worse than the danger. When a fresh storm came in and we projected it was going to take us two more weeks to summit, at that point I made the decision to forgo the summit and to join a team that was on the descent. A little more than a week later on the last possible day to go for the peak, the team I was originally with suffered the fatality and the serious injuries in another fall. Its ironic because I think what saved my life was my impatience at the pace of the climb. Someone was looking out for me, and at the end of the day, as my wife likes to say, my impatience this time probably saved my life. Now I’ve got an appropriate challenge leading SkyLink and am looking forward to overcoming a different set of summits with my new team, wherever in the world they may be.